I had a dream this morning. Sue was there and someone else and we were all 3 sitting and talking. Everything was in black and white except for Sue who was dressed in yellow. We talked about what it was like to die. She seemed okay with everything. This is how clueless I am. You know how I told you that Jack started sleeping in the basement. Well, last night Mom explained to me that he started doing that the same day that Sam Shoyer went away to sleepaway camp. Jack is going to his own sleepaway camp in our basement. Mom and I have already talked about Jack going to go to the same camp as Sam next summer. It is the same camp that Aunt Jen went to - Camp Ramah - when she was young. Today is the last day of Valley Mill Camp. On Monday, Jack goes to the baseball camp at Turtle Park. When Mom went to sign him up she saw Ari and Jake. I guess it's the place to be. I really hope Jack enjoys it. 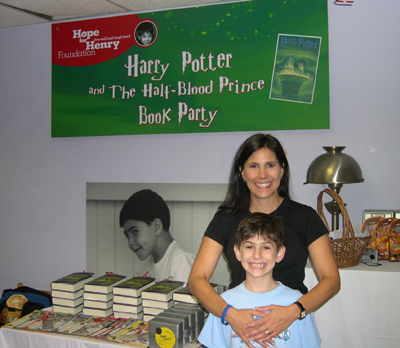 If you'd like to help give items such as iPods, portable DVD players or the latest Harry Potter book to children undergoing bone-marrow transplants and other life-saving treatments in three hospitals, the Hope for Henry Foundation can help. 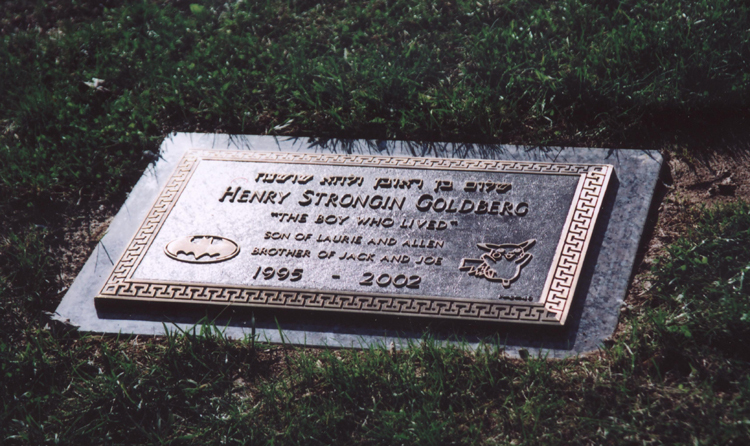 The Washington, D.C., nonprofit is run by the parents of Henry Strongin Goldberg, who died of the rare genetic disease Fanconi anemia at age 7 in 2002. For more information, go to www.hopeforhenry.org. Max and Marsha were on TV this morning. It is very hot so the TV person was thinking that ice cream would be just the right thing. What was funny was they had to open up the store at 7 in the morning for the TV cameras. I saw them all in there on my way home from the gym. Jack is sleeping in the basement these days. It isn't because it is so hot. He just likes having his own private space away from everyone. Barry Simon looks like a typical 11-year-old boy but for the fact that he needs a bone marrow transplant soon just to stay alive. Through the tireless efforts of his mother, Cindy Wamsley, left, and sister Brittany, and the good will of the Missoula community, they hope to raise enough money to pay for the operation. Cindy Wamsley knows she is lucky she didn't lose her children once already. But now the odds are heavily stacked against her and her youngest child. He's an active boy. Would be entering the fifth grade at Paxson Elementary School. Loves football, bike riding, skateboarding, riding Jet Skis. If you've got a boat, he'll gladly latch onto a ski rope and be pulled behind it on whatever you've got that floats. He just got back from a trip to California, where he had a great time. His oldest sister, Jamie, got married. He saw grandparents, aunts, uncles and cousins he hadn't seen in five years. He is 11 years old. His name is Barry Simon. In just a few days, he begins the fight of his life. Fanconi anemia. It is a disease so rare that when he was diagnosed with it in February 2002, doctors told Barry's mother he was case No. 992. "In the Northwest? The United States? I don't know," Cindy says. "That would be in the world," said a spokesperson there. "It's that rare. There's a little over 1,000 in our registry now." It's a genetic disease that leads to bone marrow failure, also known as aplastic anemia. Both parents must carry a defect in the same FA gene for a child to be born with the disease, and then it's a 1-in-4 chance. But it's a one-in-a-million shot that any one person will even carry a defect in an FA gene, Cindy says. The odds of both parents carrying it in the same gene? "I don't know," she says. "I guess that's why there's only 992 cases." After Barry was diagnosed with Fanconi anemia, Cindy Wamsley went into a deep depression. "I did not come out of my room for a month," she says. "I didn't comb my hair, I didn't eat, I didn't do anything except sleep. It was the only way I could find to avoid thinking about it." But then, she says, "I came to my senses. I realized I was just wasting time. I was behaving like I had already lost him." Today, she's on leave from her job with a local grocery store and spends every moment she can with Barry and daughter Brittany. Brittany will stay behind, with the grandparents of one of her friends, in order to begin her freshman year at Hellgate High School when Wamsley takes Barry to Seattle in August for a bone marrow transplant. If everything goes as well as can be hoped, Cindy and her son still won't be able to come home until February. There is no cure for Fanconi anemia. The bone marrow transplant is the best hope for patients to gain a few years they otherwise wouldn't have, and even then, the average age they live to is 22. Patients develop a severe risk for all types of cancers, mostly from the shoulders up - be they brain tumors, skin cancers or cancer of the esophagus. And the transplant carries enormous risks for Fanconi anemia patients. Two out of five, Cindy has been told, die before the transplant while undergoing chemotherapy and radiation treatments to destroy the defective bone marrow. Two of the remaining three will die from complications, some of which are unique to Fanconi anemia patients, that ensue after the transplant. Barry sits next to his mother, playing a game on his PlayStation 2, while Cindy clicks off these statistics. 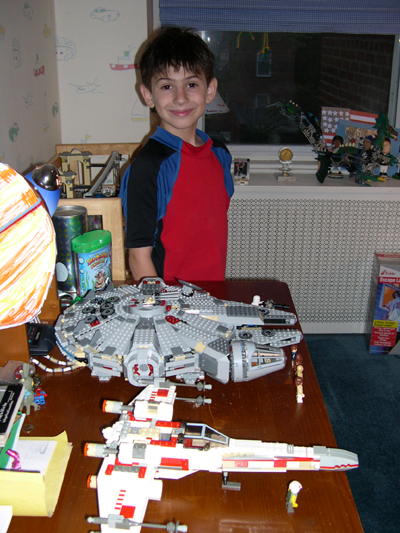 He is well aware of all this, and has been since the age of 8. "I don't believe in lying to my children," Wamsley says. And so Barry and Brittany know their mother's life is not a pretty story. Cindy was a methamphetamine addict in Modesto, Calif., before she and the children moved to Missoula in 2000. They stepped off a Greyhound bus with their suitcases and nothing else. "I'd never even heard of Missoula," she says. "I was on meth and homeless. They (Brittany and Barry) remember living in the shelters. I needed a fresh start. I didn't know anyone here, so I knew I wouldn't be able to get my hands on anything." Life in Modesto was bad, she says, and of her own making. "The only things I didn't lose were my teeth and my kids, and I was lucky," Cindy goes on. "My teeth I can replace. My kids, I can't." She says she's been clean since she and the kids got off the bus back in 2000. "Brittany's more important than drugs," Cindy says. "Barry's more important. I'm more important." "And I'm proud of her," says Brittany, giving her mother a hug. "So am I," says Barry. Brittany and Barry's biological father lives in California. He makes no child support payments, Cindy says, and has had no contact with his children in years. After Barry was diagnosed with Fanconi anemia, she tracked down the biological father and asked him to be tested to see if he might be a compatible bone marrow donor for his son. "I even offered to pay for it," Cindy says. "Richard Wamsley is our dad," Brittany says of the stepfather who raised them. Although he and Cindy have been separated since January, Richard Wamsley remains active in the children's lives. He's from Missoula, and he's the one who brought Cindy and the kids here. "He loves his son and daughter," Cindy says. She and the children now live in public housing, in a small apartment. It's a step up from their early years in Missoula, when they parked an old motor home in parking lots or vacant lots, until they were run off. "I know I messed up in the past," Cindy says. "All I can do is live my life right now and hope my children learn from my mistakes in the past." It was last month. The girl was playing catch with her older sister. The ball got away from her, bounced across the street. Seven-year-old Kayla Tyler fetched it and started back. She spied a truck and stepped back - but not far enough. The truck's mirror slammed into her head. The death of her niece, of Barry's cousin, gives Cindy Wamsley even more appreciation of the time she has with her son. Kayla, who lived in Modesto and was the daughter of Cindy's younger sister, was lost in the time it takes to snap a finger. "Kayla died so suddenly," Cindy says. "It made me so grateful that I still have Barry. I mean, I'm almost going, 'Yea! We get to go have a bone marrow transplant!' "
They put it off as long as they could, as long as his blood counts were fairly good and Barry felt relatively well. "To see him, he doesn't look sick," Cindy says. "We decided, since the transplant carries such risks, to wait while there was still quality of life for him." But lately, he's been tiring easily. "It used to be us telling him to slow down and wait," says his sister. "But now it's the opposite - he's the one telling us to slow down." Barry gets "every cold there is," his mother says, adding he missed 45 days of school last year. He's becoming dependent on transfusions. The disease is taking its toll. Without a bone marrow transplant, Cindy says, the life expectancy for someone born with Fanconi anemia is 12 to 14 years. The good news is, after striking out for a match inside the family, an unrelated and anonymous donor who matches all 10 criteria for a transplant was found in what Cindy describes as a "worldwide search." "They poked everyone in the world?" Barry asks. "Well, no," Cindy says. "But probably thousands and thousands." "Did they cry?" Barry asks with a grin. Barry will enter the hospital in Seattle on Aug. 23. The dangerous radiation and chemotherapy begin Sept. 13. There's no telling how long he'll be hospitalized after the transplant, and even after he's released, he'll have to remain within 10 minutes of the hospital for 3 1/2 months. The slightest infection can be deadly, and the Ronald McDonald House - with families coming and going - is not equipped to provide a sterile enough shelter. Cindy says she won't leave Barry's side as long as he's in the hospital, even if it means sleeping on the floor. Once out, the plan is to stay in the Pete Gross House, a 70-unit apartment building near the hospital set up for cancer patients and their families. Gross, who died of cancer, was the voice of the Seattle Seahawks for 17 years. 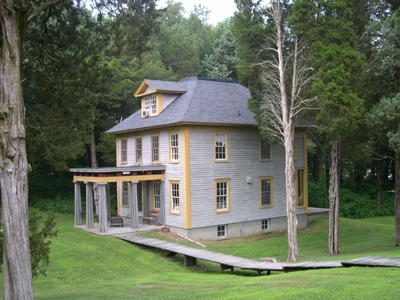 His family established the house in his name. The rents are expensive, even to Missoulians - between $1,135 and $1,290 a month for the smallest units, studio apartments, which is where Cindy and Barry will stay - but a bargain in the area. Doctors put Cindy in touch with a family whose daughter has gone through the same procedure. They told her they were in Seattle for seven months, and living expenses cost them $23,000 - a daunting total for a single mother living in public housing, who had to keep from touching her tax return in order to have enough money to drive Barry back to California this summer to attend his sister's wedding and see his family before the transplant. About 30 local businesses let Cindy put out donation jars, and $5,000 has been collected for Barry's medical payment and expense trust. They put out a jar at a Paxson sock hop, and Barry's grade-school classmates ponied up $100 of it in one night. "Missoula is amazing to me," Cindy says. "Modesto wasn't anything like this. We raise $5,000 just in jars? I mean, I know I'm not the only person with a sick kid. I so appreciate what complete strangers have given to us." They're hoping for a little more help on Saturday, at a benefit at the Town & Country Lounge. They were driving back from a trip to the lake earlier this month. Kayla's death was on everyone's mind. Barry turned to his mother and asked, "What if I don't make it?" It's the first time he'd ever broached the subject, Cindy says. "I turned up the radio. I didn't know what to tell him," Cindy says. "Then I turned it down and said, 'If you don't make it, you get to be with Kayla in heaven.' "
Cindy struggles to get through this. She knows the odds, and the best-case scenario - that Barry lives into his 20s - doesn't seem like much. But she also knows the worst-case scenario. "We go to Seattle together," she says softly. "And I come home alone." The other possibility suddenly is worth more than anything in the world. "The transplant takes," she says, excited now. "He lives to be 22, and the longer he lives, the better the chances they'll find a cure, or more ways to prolong his life." Twenty-two is an average. Some live longer, even into their 30s. Yes, it's a long shot. They're hoping you'll help them out. Want to help Barry Simon and his family with their upcoming expenses in Seattle? An event with food, music and a live auction to raise funds starts at noon Saturday at the Town & Country Lounge, 1616 S. Third St. W.
You can donate directly to Barry's medical payment and expense trust at Wells Fargo Bank, 1800 S. Russell St., to account No. 8249013395. They'd also love to have more items donated for the auction. To do so, contact the T&C Lounge or Barry's mother, Cindy Wamsley (218-9911). I can't stop thinking about Sue. I am both remembering her, and thinking how crazy and unbelievable it is that she is dead. I guess it is a good thing that no matter how many times you deal with death you can't believe it happens. Joe wanted to see pictures of you and him last night. He asked Mom the other day if you could come over to play. Sue's daughter Julia didn't go to the funeral and it didn't look like her nieces and nephews were there. I think it is probably good for kids to go no matter how hard it may seem. But Mom said that Joe didn't go. I guess that at a certain age it is more trouble keeping the kids quiet and occupied than it is worth them understanding what happened. Clearly, Joe is confused. I am glad Jack went to your funeral. I know when he is older he'll be thankful he was there. I also know that Larry will help Julia as she gets older to know her Mom and know how special Sue was. The nice thing is that Julia looks just like Sue - just like you looked like Mom. We went out with Papa Teddy for his 73rd birthday last night. He was looking at Joe and said he looks just like you. Funny thing is that I've been thinking lately that Joe doesn't look much like you any more. That has been making me a little sad. I can still hear Sue's voice. I wonder when that will fade. I can't hear yours. I am very, very sad. My very close friend Sue died yesterday. We were boyfriend and girlfriend like you and Bella. We didn't end up getting married. I got married to Mommy and Sue married a great guy named Larry, who loved her and cared for her better than anyone could. How do you like my goofy hat. I think I look a little scary in this picture with Sue. I never took a lot of pictures before you were born. Mom was into cameras growing up, but I never really had one. I feel bad that I don't have a lot of pictures of Sue that I can give to her daughter. I am afraid her daughter is going to grow up not knowing Sue. Tomorrow is the funeral. I am going up with a few friends and I will see some friends there that I haven't seen in years and years. I am pretty sure I am going to cry a lot so I better bring tissues. It is going to be a hard day for Larry. I hope that he spends tomorrow evening like I spent the night of your funeral. Surrounded by friends, laughing and drinking and falling asleep on the floor on a bean bag chair. Sue and Larry's little girl is named Julia. She is younger than Joe. When Julia was about to be born, Sue asked me whether it made sense to keep the umbilical cord blood just in case anything bad happened to Julia. Sue was about to have another baby when they found out Sue was sick. The other baby couldn't be born alive so Sue could have medicine to make her better. When Sue got sick a couple of months ago, I think I wrote to you about that and told you I was scared for her. We talked a lot the past few months and weeks (I think she was pretty bored just sitting around taking her medicine), but I am really bummed that I didn't get to see her. I should have tried a little harder. I am glad that we did have long and really nice phone conversations. We talked about all of the hard things -- about how her baby had to die so Sue could get treatment for what was making her sick and about death. I sent Sue a radio to listen to when she was getting her medicine and I sent her a lot of hats from XM and JewsRock.org. I will wear a JewRock kippah to the funeral. I am especially glad that when we talked on the phone I told Sue that I loved her. She was the nicest person I -- and anyone who met her -- will ever know. Here is what Sue's husband wrote to everyone last night. The suffering ended this morning, July 22nd, at exactly 10 am. Susan Goldstein Sands died at age 40 on July 22nd after a heroic, ten month struggle with cancer. Susie is survived by her dedicated husband Larry, and their two and a half year old daughter, Julia. Loving and devoted daughter of Lawrence and Inge Goldstein of Pittsford, granddaughter of Irma and the late Erich Meir and the deceased Samuel and Betty Goldstein, sister of Seth Goldstein (Susan) and Leslie Goldstein Roos (Barry), and aunt to Allyson, Chloe, Erica and Elise. Sue will be remembered by countless friends and acquaintances for her kindness, dedication, and gentle nature which she carried throughout her life in everything that she did. She was a graduate of Brighton High School and SUNY Binghamton. We mourn our loss but celebrate a life unjustly cut short. Memorial service will held at B’rith Kodesh at 2 pm on Sunday, July 24th in Brighton, and is being arranged by Parsky’s Funeral Home of Rochester. In lieu of flowers, a fund has been established in her honor at Camp Seneca Lake. 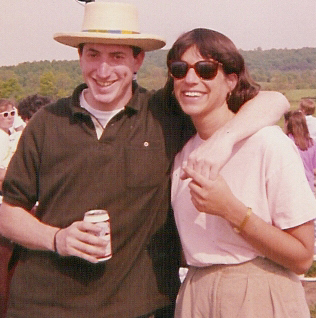 Donations may be sent to Susie Goldstein Sands Fund, c/o Friends of Camp Seneca Lake/ CSL, JCC of Rochester, 1200 Edgewood Ave., Rochester, NY, 14618 Attn: Bobby White. The family will be mourning with friends between 2-4 pm and 7-9 pm beginning Monday, July 25 through Sunday, July 31st. If you are reading this, then you are part of the Fight On Susie Army, a collection of caring souls around the globe that both individually and collectively made such a profound impact on Sue and I during this fight. I can’t begin to tell you what an inspiration each of you has been for us. I would read each of your postings each night to Sue when she couldn’t, and when she could, she relished each story, each word of encouragement, and each smile that you sent. Please accept our deepest thanks for your love and support. Julia seems to be oblivious to it all thus far. I picked her up from school today just like I always do, and we went for a treat at McDonald’s. She got chocolate milk, French fries and chicken nuggets, and then ice cream for desert, even though she didn’t finish her dinner. My sister Leslie and I kept her busy for a while, and then my friend Jorge showed up on his way back from France (Go Lance, Go!) and kept up the activity of distraction. When she finally asked to see Mommy, I brought out the pictures, just as the bereavement counselor had instructed. “Remember that Mommy was very, very, very sick?” I asked. Julia nodded her head. “ Well, Mommy’s body was broken because she was very, very , very sick and she died. She’s not coming back”. Wow. Talk about hard. Fortunately, she has the attention span of a two and a half year old, and seemed to take it in stride for now. Hard times are still to come, but another chapter has been written, and the next shall be soon. It is my greatest hope that each of you will continue to be part of these next chapters. I am hoping to gather a collection of stories about Sue from her friends and family, print them out and then share them with Julia sometime in the future. Who knows when, but I’m certain that she will want to know about her mother, and how much she was loved and revered by so many. Don’t pull any punches! Tell it like it was. If you want to keep them private, then email them to me- if not, post them for all of us to enjoy and remember our times with my precious Susie. Keep your dukes up and FIGHT ON. Call me when you are are back in time. I'm in NYC. Meetings til 4 pm. Can I stop by? I would have come over. I thought you had moved up your return to PR. I went to a party at Beet's last night. I wish I could have brought you. Wouldn't that have been something. Doug, Steven, Harry, all the boys were there. next visit to the city. island. Just bummed not to see you tomorrow. I'll be back up a lot. nope, i am in pr and am on chemo vacation until june8. Are you going to be at the hospital. How do I find you? Hey, look, it's your brother, Joey Potter. Joe got into the spirit of things this weekend. On Friday night at midnight we went to Politics & Prose to wrap a whole bunch of Harry Potter books to take to Georgetown the next morning. Mom, Jack and I had an assembly line going -- with Mom doing most of the work, of course. I am a lousy wrapper. I did most of the carrying though. I am good at that. On Saturday morning we went to the clinic at Georgetown for a party. All of the kids were really excited. Uncle Stinky read some trivia questions, and one of the patients read the first chapter. It was fun. On Saturday night, the Hope for Henry Foundation delivered books to the kids on the transplant floor at Fairview. 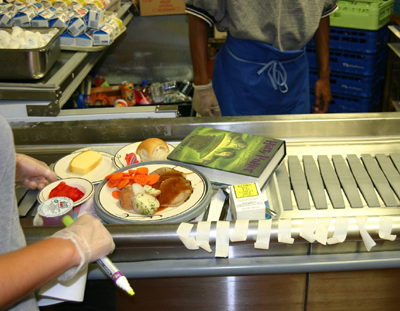 The cool thing is that Jason put the books on everyone's dinner trays. I was worried that there would be kids like you who wouldn't eat dinner, but then I remembered that there would be daddies like me who would eat their kids' meals. From all reports the kids in Minnesota were also psyched to get their books. 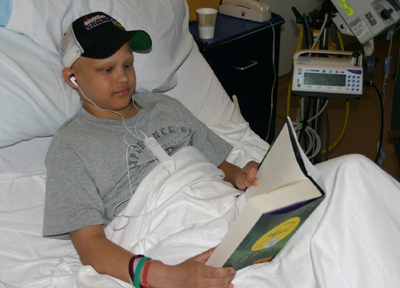 Here is a picture of one of the kids wearing his Hope for Henry Foundation gift, his iPod, while he is reading the new Harry Potter book. How cool is that. It was a crazy weekend because we also drove out to the Eastern Shore, right near Nana and Papa Sy's house, to see our friends the Knapps. 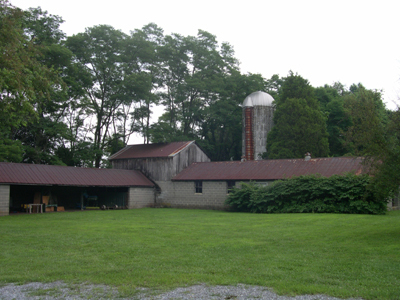 Their house and their farm were beautiful. We went fishing and kayaking, so I guess that is what everyone does on the Eastern Shore. This was my favorite part. 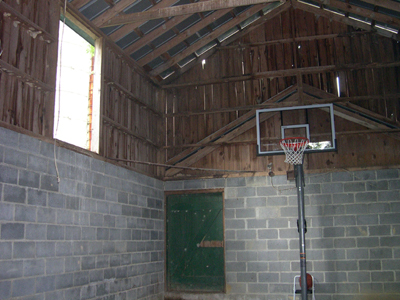 There was a basketball net in the barn. I think they should put lights in there so you can play all night. This is heaven. 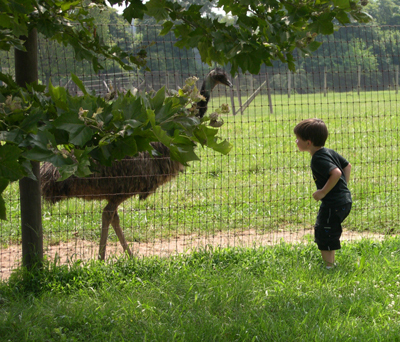 Jack and Joe's favorite part had to be the Emu farm that was next door. 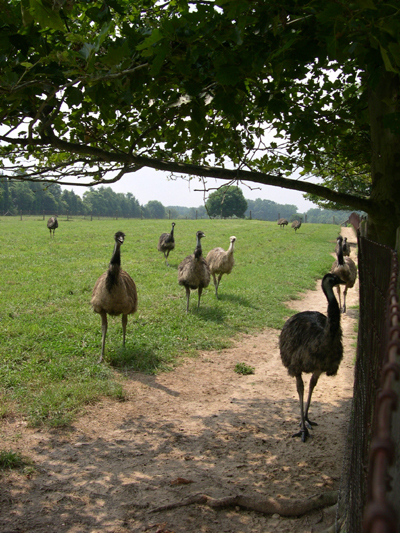 They look like ostriches. Of course Jack knew all about them. 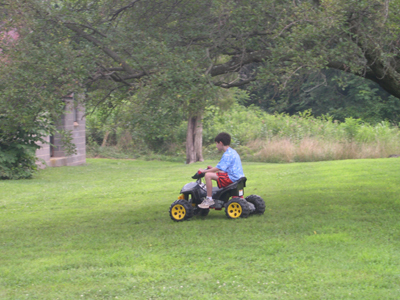 They also have two of these motorized thingies. Remember the one we had in Minnesota. I never told you and Jack that I donated it to the hospital because I couldn't fit it on top of the car for the ride back to DC. Sorry. On Monday we headed up to New York and New Jersey for more Hope for Henry stuff. Jack went with, while Joe stayed home and went to camp at the Gan. We made a stop in New York City and went on TV to talk about what we were doing. After the TV show we headed over to the Pokemon store. Guess what. It isn't the Pokemon store anymore. It is the Nintendo store. 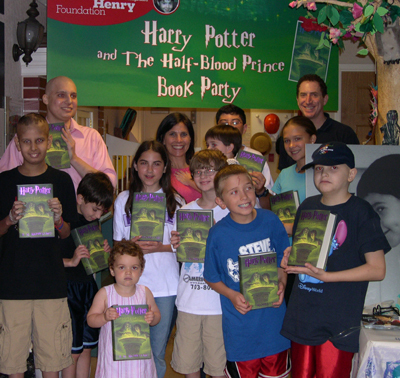 We then drove to Hackensack for a Harry Potter book party at the Tomorrow Children's Institute clinic. Everyone was there, Dr. Gillio and Dr. Brochstein. I hadn't been back to Hackensack since you were alive. I lived for every foot of the hospital, the clinic, the hallways, the elevators, rooms and everywhere you used to be. We visited a kid in your room at the end of the hall. It looked just the same. I went and looked at the showers where I would sneak off to so I could get clean before you got up. I was always worried you'd wake up alone before I got back. They had good water pressure. I checked out the lounge where I spent my birthday one year. I looked in on the room where Papa Teddy and I would watch football games. I miss those rooms and those times. When we were through at the hospital, we made one last stop before driving home. We bought a Hero Bear for Joe and I think Jack got a comic book. I am looking at a picture of you and crying. It is all so hard but hard is good. Mom and Jack are so excited for tonight. We are on our way to get the new Harry Potter book. I keep thinking back to what I wrote in the blog when I found out you were going to die. This is what I wrote the day before you died. laurie is on her way back. i have been sitting next to henry with my head on his hand, my tears soaking his skin. in the newest harry potter movie tears give him life and in the first pokemon movie tears bring ash back to life. we seemed to be doing so well. all of his labs were really good today and he has been peeing. i have asked that dr. wagner come over to see us after we get the ct results. he will be able to advise us what henry's chances are better than anyone. he won't be looking at just one piece, the kidneys or the lungs. i wish david (rabbi) abramson wasn't in israel right now. we could use his help too. laurie bought a camera because she was overcome with the desire to take pictures of him. he doesn't really look so good, but he is the most beautiful sight in the world to me. i don't know how i am going to let go, but if it has to happen i will. well this isn't hollywood or hogwarts. my tears just didn't do it. nor did my kisses and hugs. this afternoon we spoke at length with henry's transplant doctor, john wagner, who told us he wasn't entirely convinced it was aspergillus. we decided (laurie wasn't too psyched, but did it for me) to go ahead with a lung biopsy to find out for certain if it is a bacterial or fungal infection. this was scheduled for tomorrow. about 20 minutes after we finished a BMT fellow came over to us to explain that they just received the results of another culture confirming the presence of aspergillus. that's it. no more. aspergillus is unbeatable, Fanconi anemia wins. Tonight is another night that was made for you. Good night and sleep tight my "Boy Who Lived." 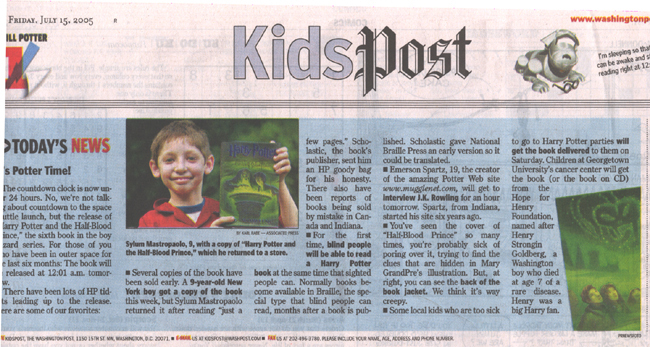 Some local kids who are too sick to go to Harry Potter parties will get the book delivered to them on Saturday. 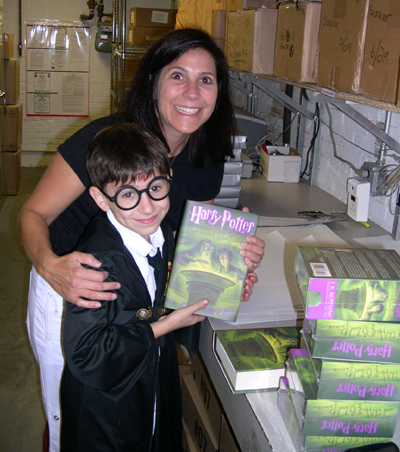 Children at Georgetown University's cancer center will get the book (or the book on CD) from the Hope for Henry Foundation, named after Henry Strongin Goldberg, a Washington boy who died at age 7 of a rare disease. 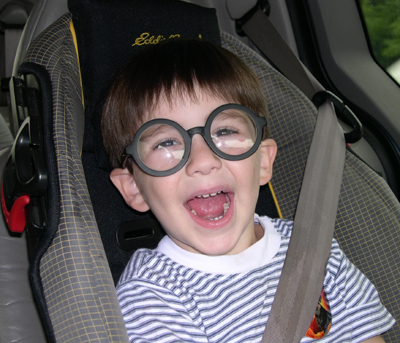 Henry was a big Harry fan. 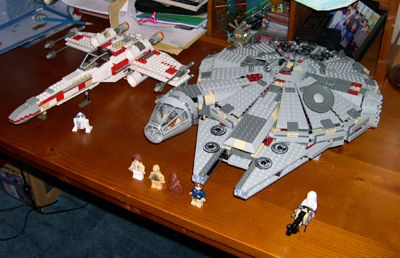 Look what Jack made. Pretty spectacular. Yesterday when we were waiting for the bus for camp, Jack told me that he isn't very good at tether ball. I told him I was really bad a tether ball too. I said Mom was probably really good and we should put up a tether ball at St. Michaels and have her teach us both. Tonight when I saw this incredible Lego that he put together I told Jack that there are probably some kids who are really good at tether ball but couldn't put this Lego together if they had a million years to figure it out. I am very proud of him. Joe has strep throat and Mom has a sinus infection. Last night when I came home from work Joe was in our bed watching TV. I sat with him and he fell asleep. Without even feeling his head, I knew he was sick. Normally he is jumping up and down and doing everything he can to delay going to bed. Last night he had no fight in him. When I came up to go to bed myself I picked up Joe to put him in his bed. In my arms he was limp and his body was hot. His feet just dangled. It so very much reminded me of you. How his body felt in my arms and how warm it felt was just like all the times you were sick. The next morning I took him to the doctor. Even though he is three and you were seven, he weighs the same as you did in your last months. That is probably why he made me think of you when I was carrying him. Joe was a champ at the doctor's office. He is taking some medicine now and he feels better. So early this morning before everyone woke up I sat in the basement thinking about everyone who was very sick and is alive now. And when I came upstairs, Mom showed me this article from today's newspaper. There is also a story about the new baby panda at the zoo. The panda babies never seem to make it, but it looks like this one has a chance. This little girl's transplant was just a few months after yours. She looks good. The morning after a Memorial Day party at her grandmother's house, 6-week-old Cameron Diamond of Anne Arundel County broke out in a fever. The next day, doctors diagnosed leukemia and gave her a 5 percent chance to live. About the same time, in May 2000, First Baptist Church in Athens, Ala., held a bone marrow drive. Greg Young, an industrial valve salesman, gave blood that Sunday and entered the national registry. 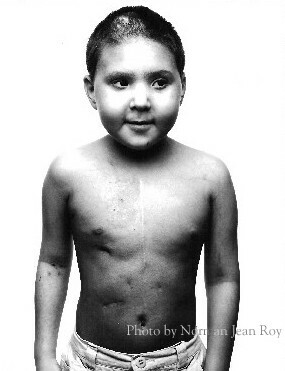 A few months later, Young flew to New Orleans to donate marrow from his hipbone. He asked not to be told whom it was for or whether the recipient survived. 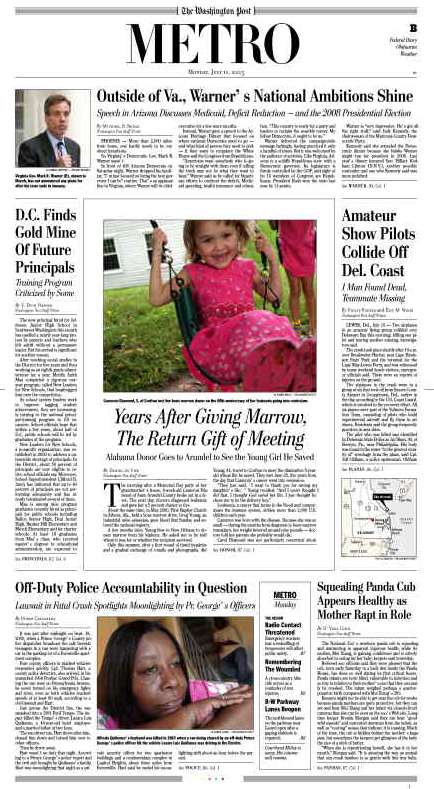 Only this summer, after a first round of timid inquiries and a gradual exchange of e-mails and photographs, did Young, 41, travel to Crofton to meet the diminutive 5-year-old whose life he saved. They met June 25, five years from the day that Cameron's cancer went into remission. "They just said, 'I want to thank you for saving my daughter's life,' " Young recalled. "And I never thought I did that. I thought God saved her life. I just thought he chose me to be the delivery boy." Leukemia, a cancer that forms in the blood and compromises the immune system, strikes more than 2,000 U.S. children each year. Cameron was born with the disease. Because she was so small -- during the months from diagnosis to bone-marrow transplant, her weight hovered around nine pounds -- doctors told her parents she probably would die. Carol Diamond was not particularly concerned about Cameron when she took her to the pediatrician on the Tuesday after Memorial Day weekend five years ago. "She was just a little warm," Diamond recalled. One day, several tests and three medical facilities later, the Diamonds were led into a private room in the neonatal intensive care unit at the University of Maryland Medical Center, where a doctor told the parents, "She's probably not going to make it." That was on a Wednesday. By Friday, Cameron was undergoing chemotherapy. Hospital employees who left their shifts that day seemed joyously surprised, the mother recalled, when they returned Monday and found the patient alive. 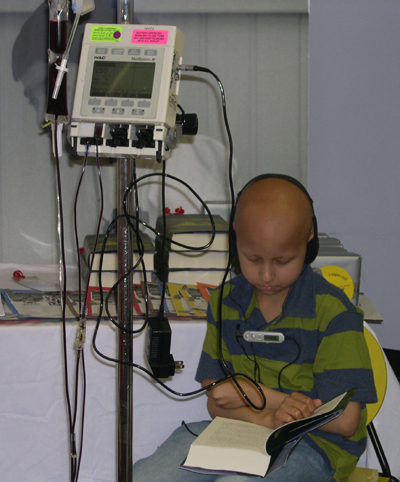 Cameron needed a transfusion of healthy bone marrow to survive. But the best hope for a donor evaporated when Cameron's older sisters, Julia and Amanda, tested negative for a match. Finding a suitable bone-marrow donor means hunting for a match on at least five of six genetic markers in the patient's white blood cells. In summer 2000, when the National Marrow Donor Program searched its registry of about 4 million names (now more than 5 million), it found just four perfect matches for Cameron. All four were contacted. Only Young called back. "They said: 'You could potentially be a match. Could you do this?' " Young recalled. "I thought maybe I was one of 100 people who could do this, but they said, 'No, you're the match.' That's when it kind of hit me." The caller told Young that because the patient was an infant, they would not need very much marrow. That was more than he wanted to know. "At the time, I just wanted to be anonymous," he said. "I didn't really feel like I was doing anything that special, and I didn't want the attention. I didn't really want to know if she didn't make it." Cameron's life hung on the actions of a man she never had met. "I thought he was going to back out," Carol Diamond recalled. "And I'm not sure why." There was also a chance, a good chance, that the transplant would not work. Before Cameron could receive the transplant, she had to undergo a five-day regimen: 15 minutes of intense radiation daily, focused on every bone in her body, to cleanse it of cancerous cells. On the morning of Nov. 16, 2000, doctors harvested bone marrow from Young in New Orleans and put it on a plane to Baltimore, where it was transfused into Cameron that night. Cameron's weakened body developed a fever during the procedure. Doctors put her on three antibiotics as her temperature rose to 104. "I can think of three times when I really thought we were at death's door," said B.J. Diamond, Cameron's father. "That was one." The Diamonds left the hospital Dec. 8 and moved into a rental apartment a few minutes away. Doctors told them to be within a 10-minute drive in case Cameron's temperature climbed again. She wore a mask over her nose and mouth for the next three months. Donors and recipients are forbidden to have direct contact for the first year after a marrow transplant. On Nov. 16, 2001, the Diamonds placed their contact information on the registry and requested the identity of the donor. Young remained reluctant. His wife, Deana, urged him to change his mind, telling him, "If it was your kid, you'd want to know." The Diamonds packed up a box and sent it to Alabama, enclosing a home video, pictures, a cookbook assembled by friends and a CD of songs that the family identified with their daughter. One was Seals & Crofts's "Diamond Girl." The Youngs wrote back. And then they called. "I said: 'My name is Deana Young. Do you know who I am?' " she recalled. "And B.J. said, 'I'm looking at your picture on the refrigerator.' "
In November 2002, the Youngs opened a jewelry and gift store in Athens and named it Cameron's Store. 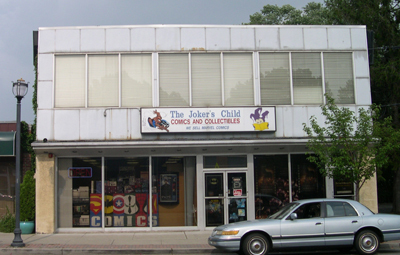 The store remained open until this February. The Youngs traveled to Crofton last month to help celebrate the anniversary of Cameron's remission. They hugged; they wept. Cameron presented Greg Young with a plate decorated with an angel, its wings formed in the shape of her tiny hands, inscribed with the words, "Thank you my angel, Greg."